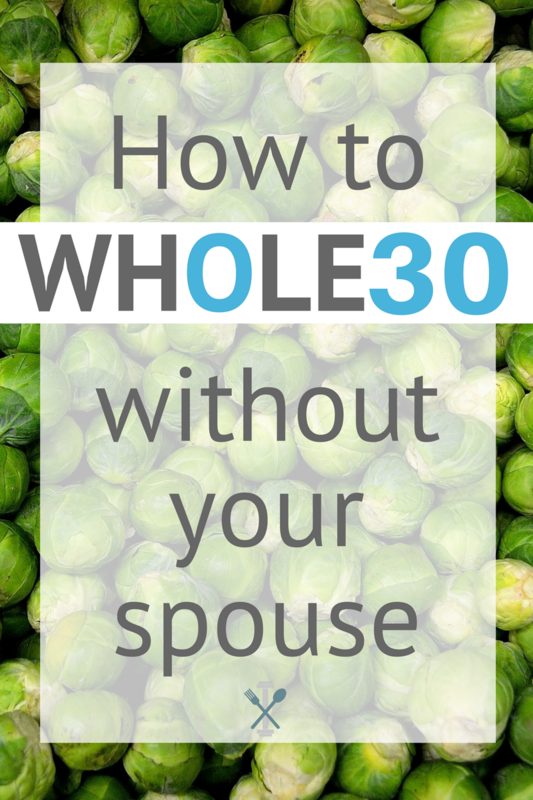 So you want to do a Whole30 but your spouse is a NO GO. Ah yes, sounds so familiar. In all of my completed rounds of Whole30, not ONCE has my husband joined me. But he’s sooooo supportive – hahahaha NOT! Look, it’s doable to do Whole30 without your spouse. And here’s how. Never fails, ever time I say, “I’m doing a Whole30” my husband groans and give me the most epic eye roll. It’s not that he doesn’t love my Whole30 meals (truly, he does), but he also loves going out for pizza…and I secretly think he feels better about evening snacking straight from the chip bag when I join him. I’ve tried, oh how I’ve tried to get him on board with me. I love my husband (obviously) and I’d love to change his eating habits for the better, adapt a cleaner lifestyle, and geek-out over paleo/Whole30 things with me. But Whole30 will only work as a personal choice. YOU have to want it. So I know if my husband does a Whole30 for me and not himself, he’ll fail – no doubt. Great, so you’re ready to try the Whole30 program. Don’t you dare think you’re going to go from lasagna every other night to kale hash with organic carrot puree over lightly seasoned chicken breasts without a fight. Whole30 is great for encouraging us to try new things, new veggies, and new ways of cooking. But don’t try to be a Martha Stewart when you’re really Guy Fieri, mmmmK? Start with the classics your family knows and loves, then Whole30 those recipes up. Keep taco Tuesday but make your own taco seasoning and eat yours as a taco salad while the hubs has tortillas. Do spaghetti on rotation but use a compliant marinara and serve with zucchini noodles while he does pasta. Grill a few burgers and let him to go down on that stupid white bun as you load yours up with avocado, tomatoes, dump ranch, and wrap it into a few cute little lettuce leaves. 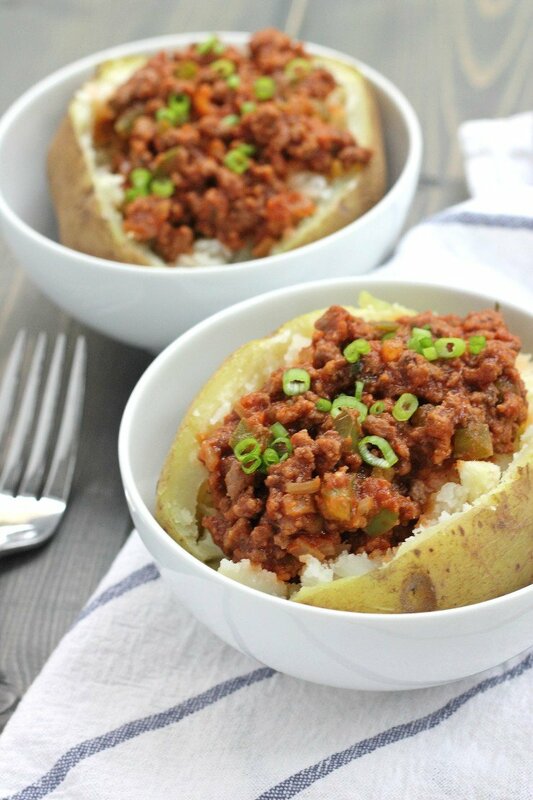 Or make the classic family favorite, sloppy Joe bowls. Keep it simple. Hungry Jack boxed potatoes are my husband’s bestie. Hungry Jack and hungry Josh, two peas in a pod. I find it repulsive, he thinks it’s genius. 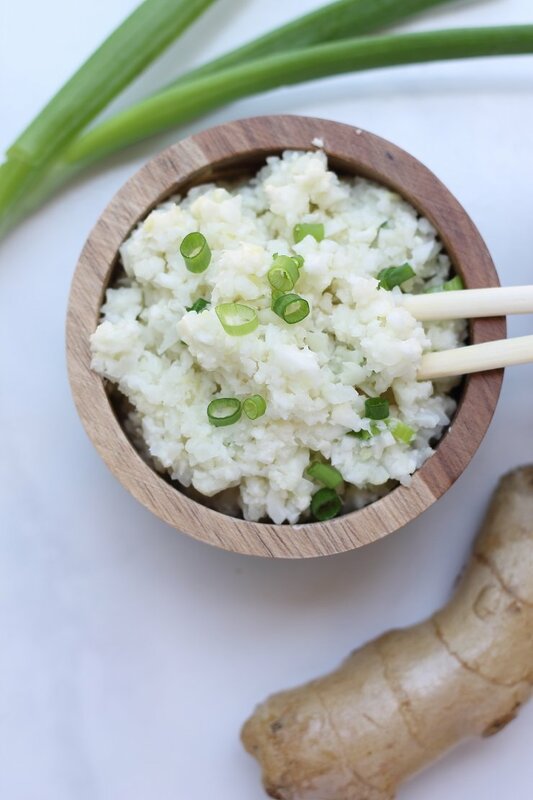 Cauliflower rice is a staple for me, but the whole concept makes my husband want to gag. 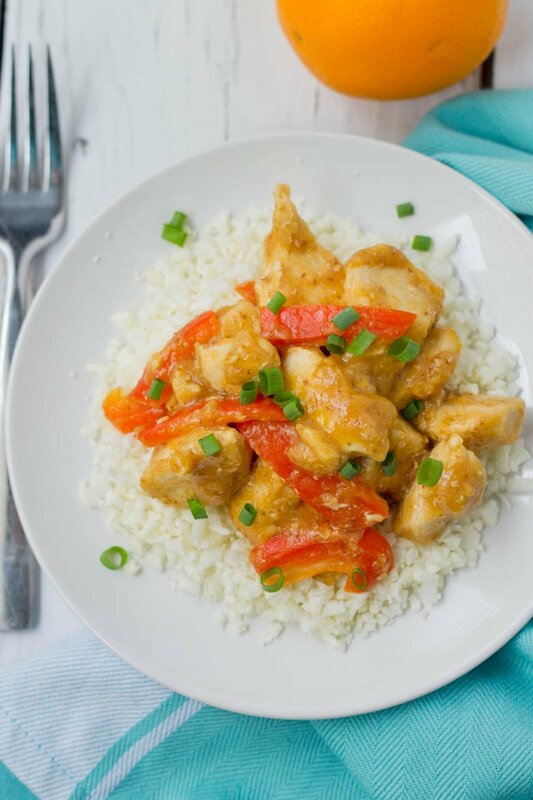 Solution – whenever I’m making a simple meal, I throw down some non-compliant sides for him (grossed boxed mashed potatoes in the microwave or Minute rice for him, steamed sweet potato and cauliflower rice for me). 98%, no 100% of the Whole30 meals I make are easy. Stupid easy. So when dinner means a protein with simple sides, I don’t try to sub his. Then we can both be happy. I wish I could take you to a live stream of my pantry right this moment. Buffalo wing pretzel crisps, Golden Grahams, Bisquick, Cliff Bars, and fruit snacks are a few things I see, and that’s just from where I’m sitting. Did I buy those things? HAAAALL no, but I’m not going to throw a fit when he purchase this junk. Warning: tough love alert ahead – if you want to do a Whole30 and your partner doesn’t, you might just have to figure out a way to live with the ‘temptation’ stuff. And if you don’t think you can do it, maybe you need to check in with yourself to see if you really have what it takes. I know, it sounds like a a Nike commercial! But really, if you think Whole30 will be only be doable if you stay in your own compliant little bubble for 30 days, it’s time for a reality check. There will be non-compliant food every where you go. Your cravings/temptations to quit WILL stare you in the face at some point throughout the process, so figure out how you’re going to handle it. Section off the junk in the pantry, maybe even move it to a new cabinet. Train yourself to not even look at the no-no section. He gets his stuff, and you’ll just have to figure how to live around it. Sorry, I really am a nice person, but sometimes tough love is the only answer. What a perfectly placed tip after our little ‘talk’ in the previous tip! Snacking – ugh, the hardest one (for me at least). Kids are in bed, house is picked up, you both plop on the couch to watch your favorite show and he has a bag of chips/a handful of Starbursts/microwaved popcorn that you swear smells like cocaine in a ‘foodie scent’ kind of way. DUDE, the pm munchie thing is the worst. 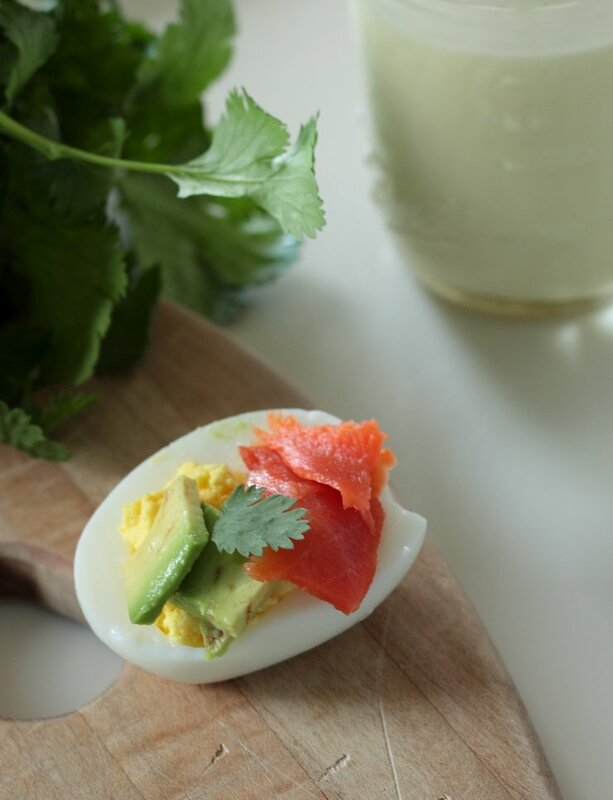 “I am really hungry or is this just a habit?” “Should I grab a hard boiled egg or have just a FEW kernels of popcorn and pretend it didn’t happen?” “Will I make him sleep on the couch tonight or the garage?” Before you even start your Whole30, plan this scenario – because it WILL happen. Figure out how you’re going to cope with the snacking thing, when everyone else will be munchin’ away. Maybe it’s making your favorite hot tea or reaching for a flavored sparkling water. Maybe it’s making pre-cut/pre-roasted/pre-boiled eggs so if you really DO need something out of hunger, you’re locked and loaded. Whatever you do, don’t lash out on him for not ‘helping’ you. And for Pete’s sake don’t start drawing up his will – you’re probably in the ‘kill all things’ stage. It will pass. I’m pretty sure it’s the bible. “On the 7th day, God made condiments”. It’s the holy grail of Whole30. No big, long explanation here – throw some condiments down like Beyonce does albums. Because compliant ranch, pesto, ketchup, mayo, bbq sauce, dressing, buffalo sauce, etc etc etc can make Whole30 easy, fast, and do-able for your wonderfully stubborn better half. Even if my man refuses my homemade dump ranch, doesn’t mean I can’t section our our meals in half and throw regular ranch on his, compliant ranch on mine. Wham, bam, thank you ma’am. Meat is broken down in translation is: ‘me eat’. It’s a caveman term (I’m pretty sure). Men = caveman. Caveman = love meat. See where I’m going with this? When it doubt, meat it out. What dude is going to refuse grilled steak with butter (ghee) garlic mushrooms? 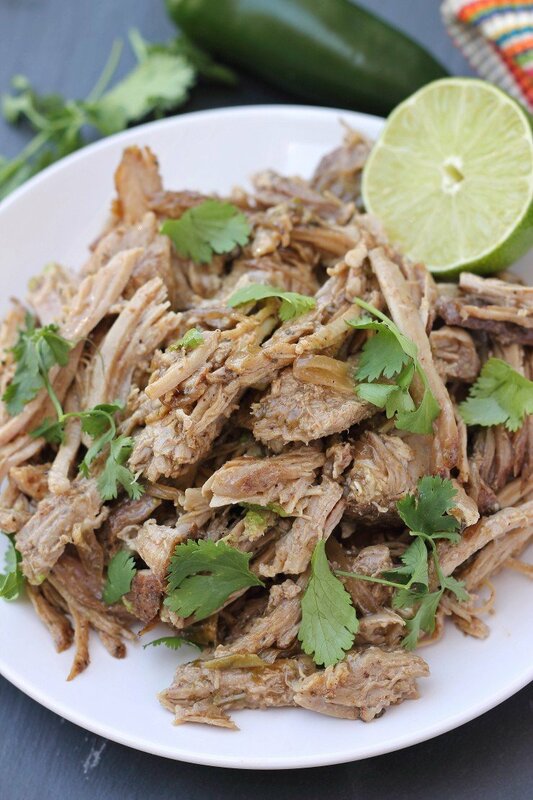 Or slow cooker pork carnitas? Or for heaven’s sake BACON?! I rest my case. If tuna-wrapped collard greens aren’t your guy’s thing, then well, he’s a normal guy. So congrats. Whenever my darling dear gives me flack about doing another Whole30, I dazzle him with a wide array of manly meat dishes the first week, and he usually forgets I’m even doing a Whole30. Cross my heart. Check out the recipes for my sloppy joe bowls, slow cooker pork carnitas, tomato basil beef goulash, or A-1 inspired slow cooker beef roast for a few of my husband’s favorite ‘man meals’. Dinner we eat as a family, which means we all eat what I make. Although the hubs’ plate may not be completely Whole30 compliant, the main theme of dinner is a Whole30 dish. But breakfasts and lunches? You’re on your own buddy (which in most cases is easy with work schedules). Yes, I’m a nice wife that makes my husband non compliant stuff from time to time. It’s really not THAT much work to add one or two simple steps to dinner so we are both happy. But breakfasts and lunches are his thing, so get your McDonald’s fix if you need it pal, I’ll be eating my compliant lunches, texting the ‘see no, hear no, speak no evil’ monkey emojis right at ya. Luckily my hubby isn’t a big drinking kind of guy (#lightweight), but alcohol can be a major temptation during a Whole30. When you partner reaches for a cold brew or pours himself a big glass of red, find your alternative (hint, it doesn’t have to be boring). Add some flair to sparkling water with a splash of pineapple juice or fresh mint. Grab a kombucha and pour it into a wine glass. Or brew up some fruity (compliant) tea and serve it over ice. You may not even miss the booze as much as the experience. This is a two part point. Part 1: figure out your favorite Whole30 meal you can whip up quickly, with a few staple ingredients you’ll always have on hand. That way when that takeout/pizza/fast food lovin’ man of yours brings home dinner (because he oh-so casually forgot you’re doing a Whole30), you have a go-to meal you like, that you can fall back on. Part 2: figure out your favorite Whole30 meal as a couple. Repeat it. Then repeat it again. Yeah it might get monotonous, but it might be just the ticket to stay on track. Do what’cha gotta do! Back to the whole point, back to the tough love, back to your ‘why’. When your feeling frustrated with the situation and just wishing your other half would get on board to help make it easier, focus on your why. It’s easy to give up, to say you’ll try again in a month, or give yourself a hall pass because it’s just too ‘hard’ to do in a house divided. But your success is defined by YOU, not your spouse. So write it down, get an accountability partner outside your home, do whatever you have to do to plan your success and keep your focus. 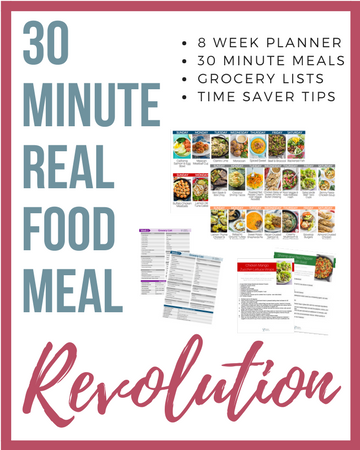 And check out these resources to help you along the way: 30 Whole30 Hacks, The Ultimate Trader Joes Whole30 Shopping List, 5-Ingredient Whole30 Crockpot Meals. Interested in getting help planning your Whole30 challenge? 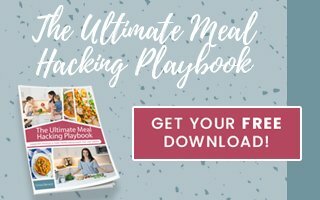 Sign up below for your free Whole30 meal planning guide with easy recipes, grocery list, and daily time saving prep tips! I loved this post! Thank you so much! I’ve been thinking of trying whole 30, but my husband definitely falls under the same McDonald Oreo beer sort of guy! It’s so tough to be around that temptation! Ha our hubbies should be friends. You can do it!!! You’re awesome! Our husbands would be friends 🙂 these are great tips, encouragement and motivation to stay the course! Glad this resonated with you Beka! Thank you for this! The tips are great. I know, I know…it has to come from within..but man it would make my life easier if he would just do it! I guess I can look at it like I am more awesome than someone whose partner was well, a partner with whole30, because I did it with EXTRA temptation around. By the way, I think we might be married to the same person? Because your descriptions sound exactly like mine lol. Haha it’s crazy how many people deal with this same exact issue with their spouse! Great article! We can’t let other people’s refusal to get healthy be an excuse for us. Thanks for these helpful tips. This is such a brilliant post, Chrissa! I’m sitting her nodding “yes” the whole time. I will give my hubs that he is supportive of my W30ing (when my RA is making me creaky, he’s often the one to suggest “hey, is it time for a Whole30”), but he is pretty transparent about missing Saturday night “cheat nights” (i.e. takeout). It took me several rounds (over 3+ years of Paleo) to figure out the Kombucha-in-a-wine-glass tip, but that one saves my bacon! And for those wanting to put down some real rice for hubs/kids, may I recommend the Trader Joe’s Jasmine Rice – no crap in it, ready in 3 min. Oh yes!! We love that rice too! You’ve got this Whole30 without your spouse thing DOWN! Absolutely loved the tone, it was amazing that you covered every angle from liquor, to making the hubbs happy. Amazing job! I thoroughly enjoyed reading this article!